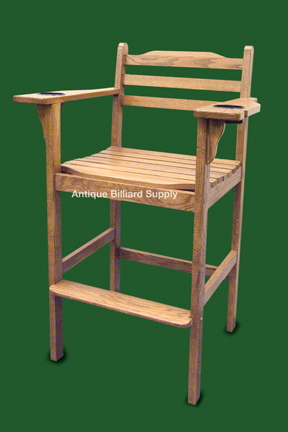 #7-15 Billiard spectator chair constructed entirely in oak. Drink recesses and cue notch in arm. The perfect accent to any game room. Two available.